The National Policy Institute’s conference for 2015 just wrapped up, one of the most popular intellectual events for the white nationalist movement in the United States. NPI is run by youngish nationalist Richard Spencer, who encourages the movement to be hip and youthful. Out of the almost 175 attendees, a huge portion of them were millennials as they were given significant discounts off of the expensive ticket price. 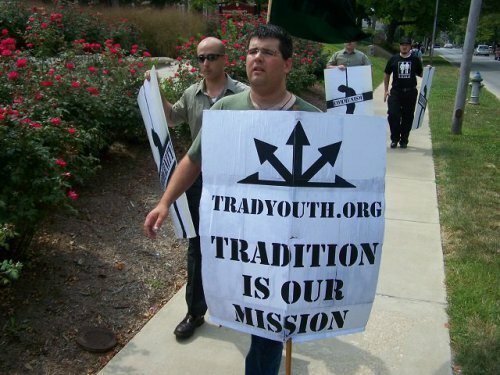 One person that was disinvited, according to associate Scott Terry and, later, from Richard Spencer himself, was the Traditionalist Youth Network’s Matthew Heimbach. 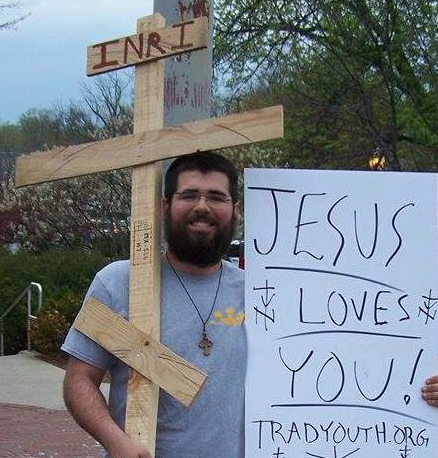 Matt, who helped to found the Townson University White Student Union before forming Trad Youth, has made statements publicly claiming queer people are purposefully infecting people with AIDs and that they need to be put in “re-education” camps to cure their “mental illness.” Because of these statements, Spencer decided that he should be banned from the NPI conference. This position from Spencer, which sounds more like liberal apologetics than the defenses of someone on the radical right, may seem surprising. It is less surprising when noticing that queer writer and advocate for “male tribalism,” Jack Donovan, is one of the NPI speakers. Donovan is well-known for his book Androphilia, where he advocated that “homosexual men” drop the gay identity because it is associated with effeminacy, leftist politics, and feminism. Today he is celebrated in Men’s Rights circles, talking about reclaiming masculinity and creating a tribalism “against capitalism and the state” and depending on the recreation of hierarchies. Spencer himself has discussed queer issues with Donovan many times, where he thinks that gay marriage is a “non-issue” and that we should just move on about the conflict. This all may seem bizarre to those who understand white nationalism to just existing on the far right of a left-right spectrum, where homophobia seems like it would come before the open racialism. Inside of the movement, however, this is not the case. We see a mixing of queer identity with open fascism with bands like Death in June, and all through the “manosphere” there is a deep misogyny and white nationalism expressed by gay authors who have been invited into the fold. Though the stereotyped “gay culture” is always derided by these groups, they play hard with the idea that queerness is biologically determined. Spencer himself, in a conversation with the late British nationalist Jonathan Bowden, indulged in pseudo-science about how sexual orientation is chosen by hormonal baths prenatally. He then notes that eugenics will likely cure this illness, but gay people should not be blamed for their attractions. There really are a couple of angles here that they attempt to stand on that makes this perspective both growing and unique. The first is, as Spencer often notes, the “war has been lost.” A younger generation is completely unwilling to indulge in vigorous homophobia in the way that they will still adopt racial and gendered bigotry. This may be true in a sense, as liberal queer progressivism has become a cultural shibboleth. Even queer people on the anti-assimiliationist side of the left are not always allowed in, and people like Donovan often portrays queerness as anti-assimilationist at its core. No matter who they are, they usually oppose gay marriage(Donovan included), as marriage is a cultural institution used to prop up Western Civiilization. The second reason that queerness is being reappropriated, as is seen in both Donovan and O’Meara’s work, is that there is s certain “mars/mars” dynamic that they want to celebrate. In essence this is a male warrior culture that is anti-bourgoeis in its rejection of the traditional family. 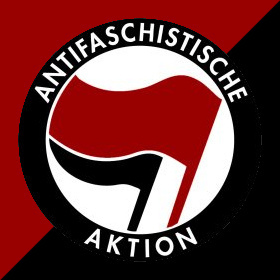 Though this is radically different than what many on the “Alt Right” think its socially productive, they do note that society may need these cultural elements and that they are rightist in that they celebrate in-group/out-group distinctions, tribalism, and hierarchy. While queerness may be a deciding point in many of these circles, it is not uncontested. Many in the more extreme sects of white nationalism, especially in circles more associated with the KKK or Nazi skinhead groups, Donovan has been a major detractor. You can go through comments threads and see him demonized in ways similar to their discussion of Jews and people of color. More often than not, however, there is tacit approval of his inclusion and even a sort of backhanded support. I’d like it known that, despite being dis-invited from NPI, Heimbach went to DC to hang out with the conference attendees. I tagged along because many of the gentlemen there are my friends. Not once during the entire weekend did Heimbach bad-mouth Spencer or try to foment some sort of rebellion; no “entryist” attempts were made. While it’s unfortunate Spencer isn’t willing to see the best in Heimbach, there wasn’t any hard feelings (as far as I could tell) and I’m sure Trad Youth intends to continue supporting ethno-nationalist projects (from whatever quarter they arise). There’s no point in exacerbating divisions, in my opinion. We all know the “big-tent” isn’t monolithic. Pagan, homosexual-supporting alternative rightists are stuck with theonomic Christian ethno-nationalists (like myself). We’re stuck together regardless. 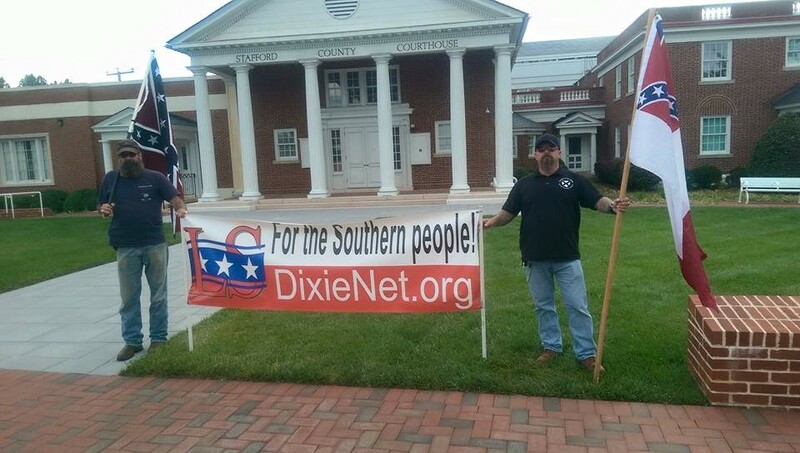 Because of the disparate elements of a fringe movement like white nationalism, people like Terry and Heimbach often are looser with their Christian conservatism than you would find in more generic non-racial Christian churches. Heimbach has gotten a lot of rejection inside of the movement for his effort to cover all bases and speak in public derision. 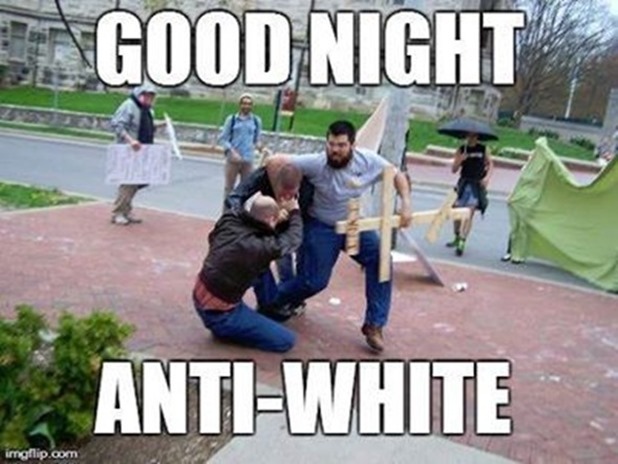 He was excommunicated from his Orthodox Christian church after a public fight where he hit an anti-racist with a large wooden cross. He was kicked out of his much-loved League of the South after attending a National Socialist Movement event, though he was let back in later. At NPI, Mike Enoch from The Daily Shoah spoke on their Becoming Who We Are podcast panel. He often makes homophobic jokes, including insulting statements about Donovan, but he was still allowed to participate and celebrated throughout. This is likely because of the importance that Enoch holds for the movement while Heimbach is more of a traditional reactionary who just happens to organize the youth. This is a sort of “real politic” from Spencer, but this is the kind of opportunism you can always expect from white nationalists. It is not that queer people are going to be invited en mass to the white nationalist movement, but there is certainly an effort to invite people in who would normally be left on the fringes. The question is whether or not this will be a sizable number of people, or if their attempts to stoke racism inside of queer circles will have the disgusting effect they are hoping they will have.